Pulling off an event the size of Rays Fan Fest must keep some within the confines of the Tampa Bay Rays 4th floor sleepless, anxious and maybe a bit stir-crazy at times. 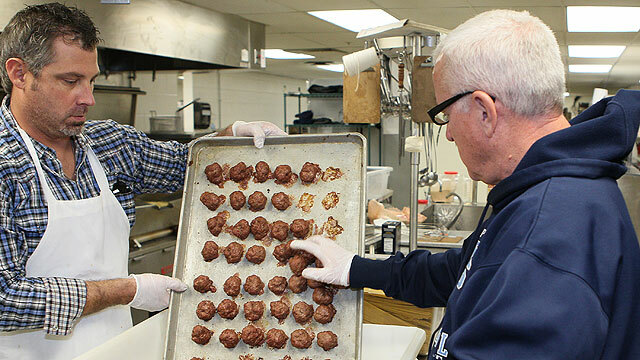 Hundreds of emails, untold hours of planning, confirmations and re-confirmation must make it a logistical nightmare that rivals a major NCAA bowl game. 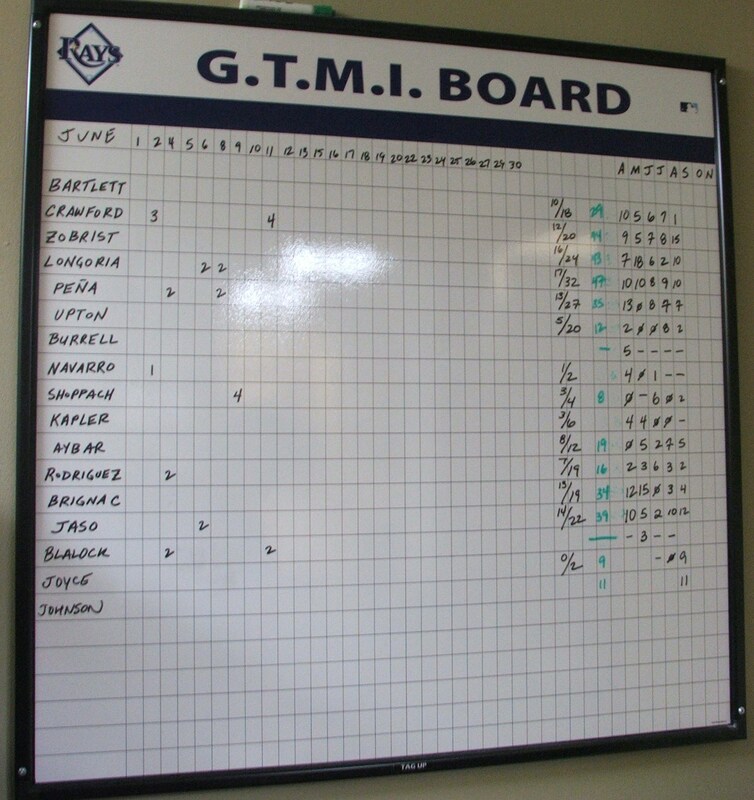 All this energy, physical exertion and mental numbness accumulating with a huge bang over a 7 hour period. 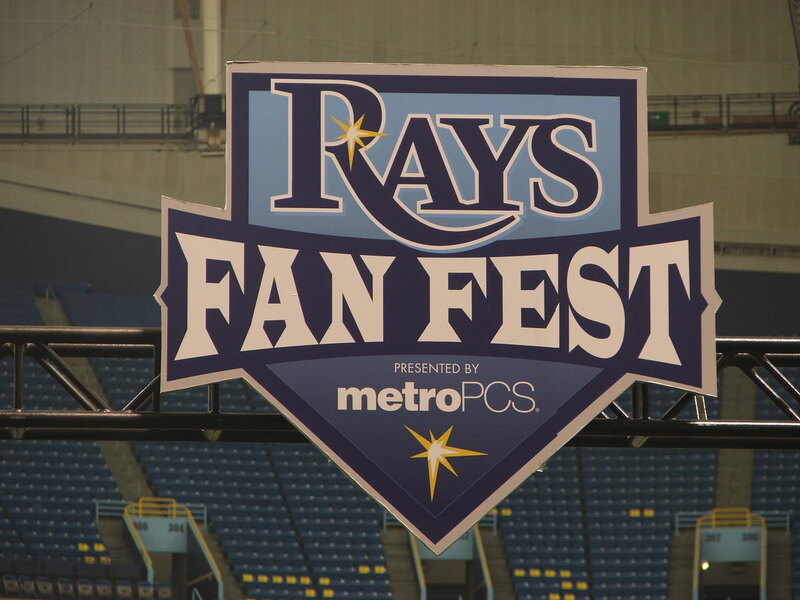 If the crowd was any indication, then this year’s Fan Fest might be a precursor to another extraordinary Rays MLB run to who knows what new plateau. 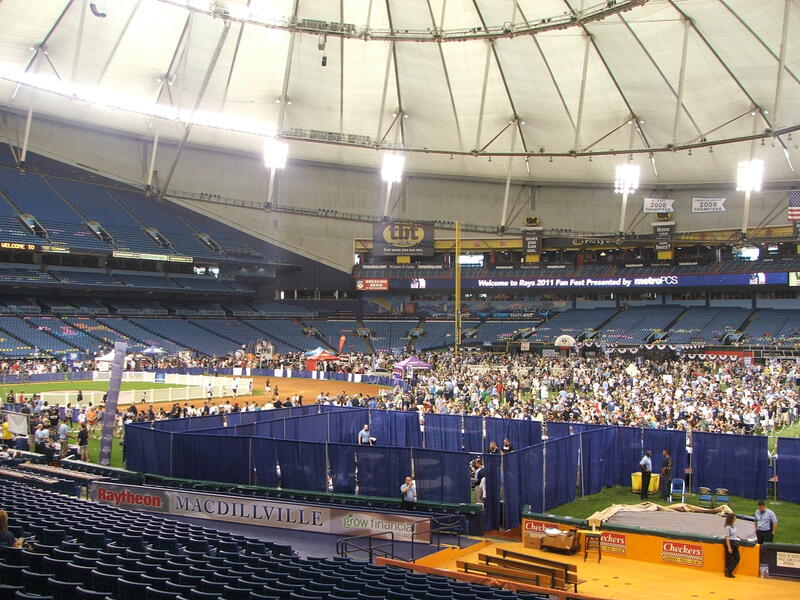 The building felt different when I entered on Saturday. 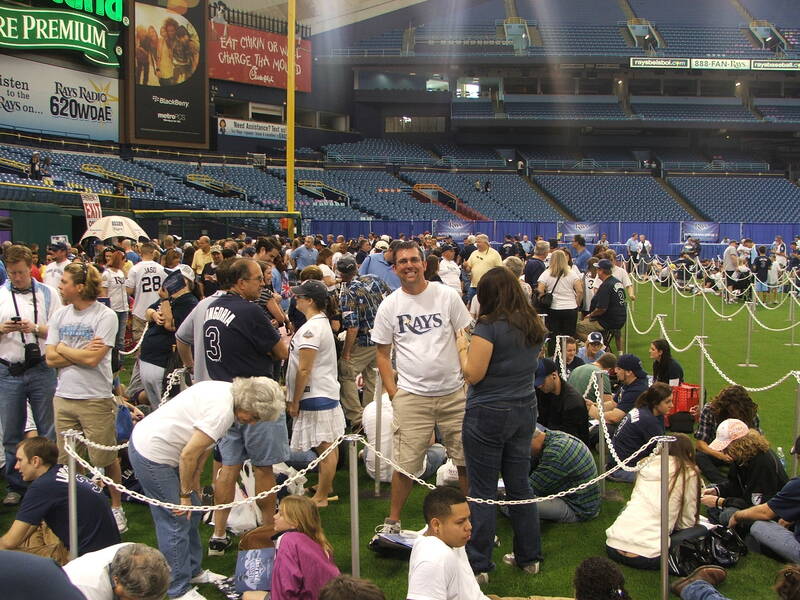 Maybe it was the simple fact I was not in the first wave of fans for a change, or maybe it is the electricity and anticipation that was heavy in the air as I strutted into the tilted roof home of the Rays. 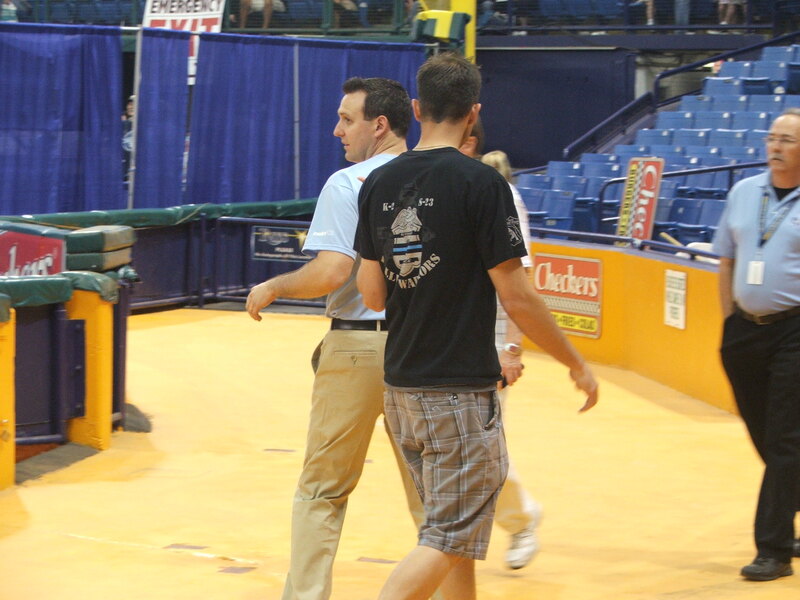 Everything seemed bolder, more vibrant, more animated this year. 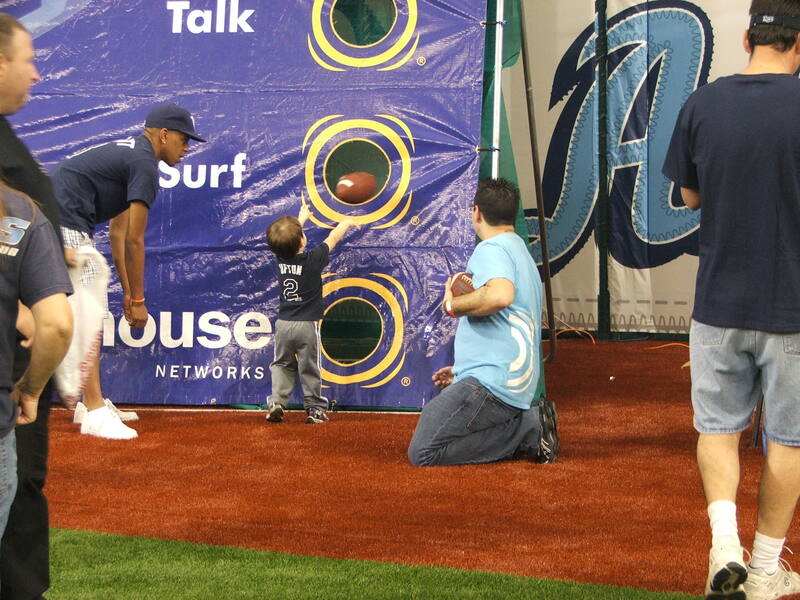 From the MLB Alumni wiffle ball contest that featured a Grand Salami by the Big O, former Marlin Orestes Destrade or the presence of former HR slugger Roger Maris’s son and grandson, the Trop just seemed more colorful and ready for exploration. 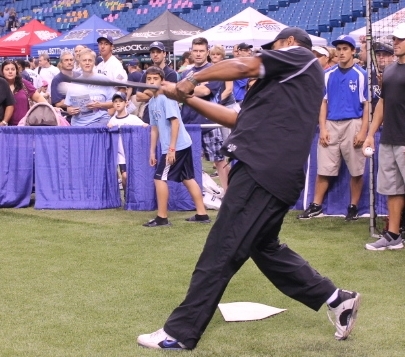 With the added Internet celebrity factor and exclamation point in the wiffle ball contest of Sean Steffy (@Wiffleball28) who is better known as the world’s greatest wiffle ball pitcher. 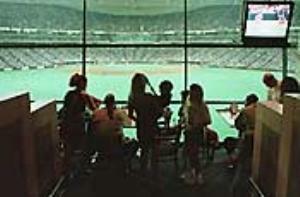 I was transfixed on the game even as Travis Phelps had an HR dashed by the big hands of Eric Knott. 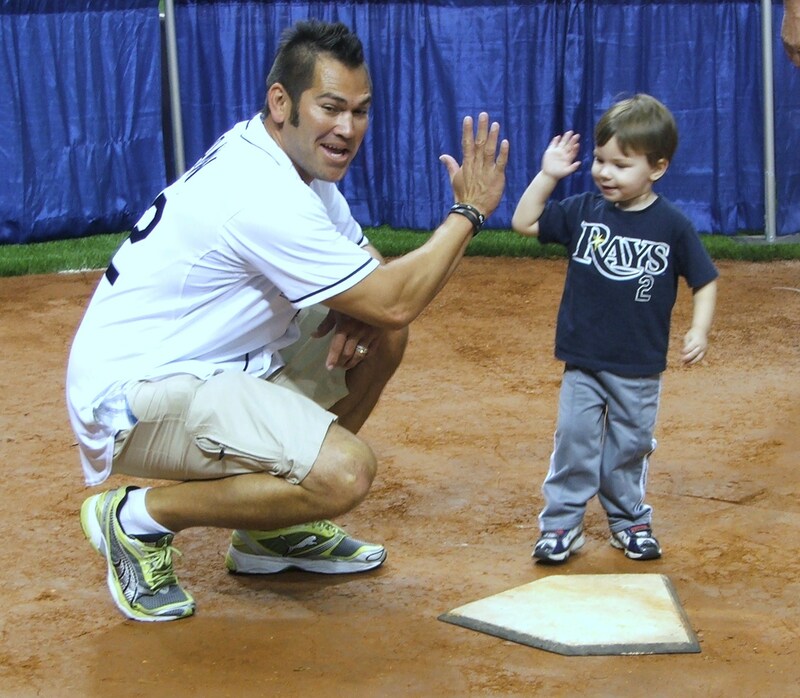 It was great to see kids running the bases, all smiling, giggling and giving up high-fives to the former MLB players. 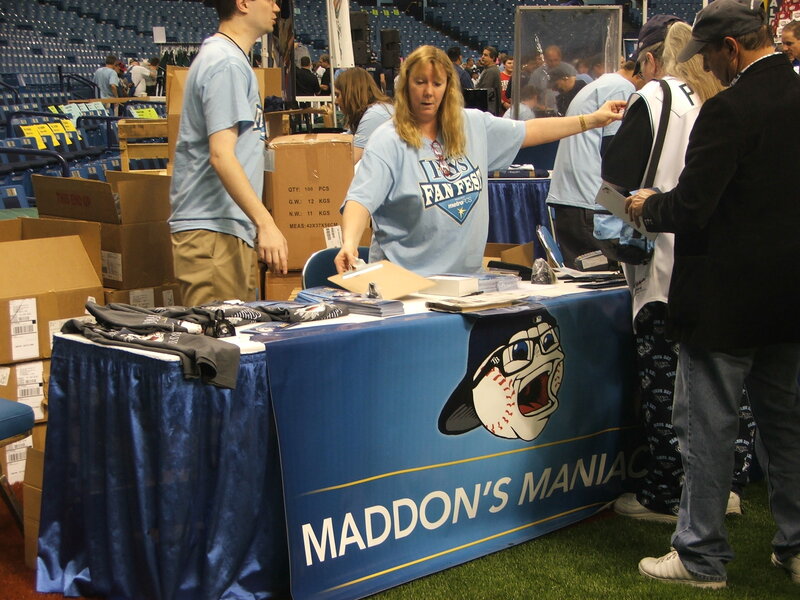 As some people mumbled and grumbled about the $50 autograph wristband, it was not lost to me that the event helped build a nest egg of over $100,000 for the Rays Baseball Foundation and the ALS Association Florida Chapter. 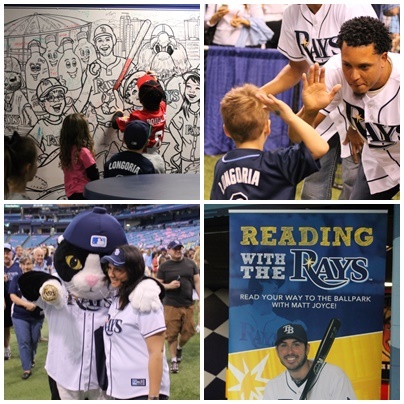 From Rays skipper Joe Maddon and his new dark brown locks to even hearing Kyle Farnsworth reading to children without any intimidation, the event truly was one for the record books. 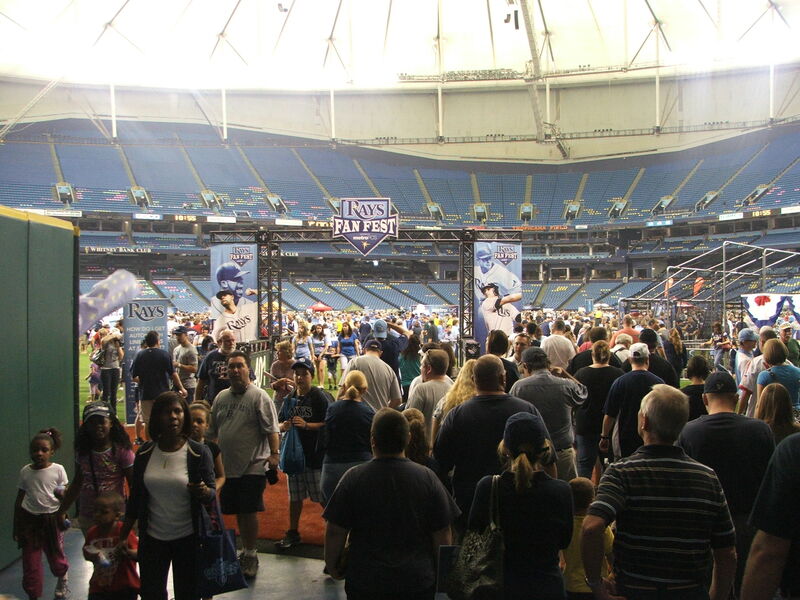 And the crowd expanded to bulging capacity more than once as travel around the Trop during this Fan Fest was very packed in, but respectful. 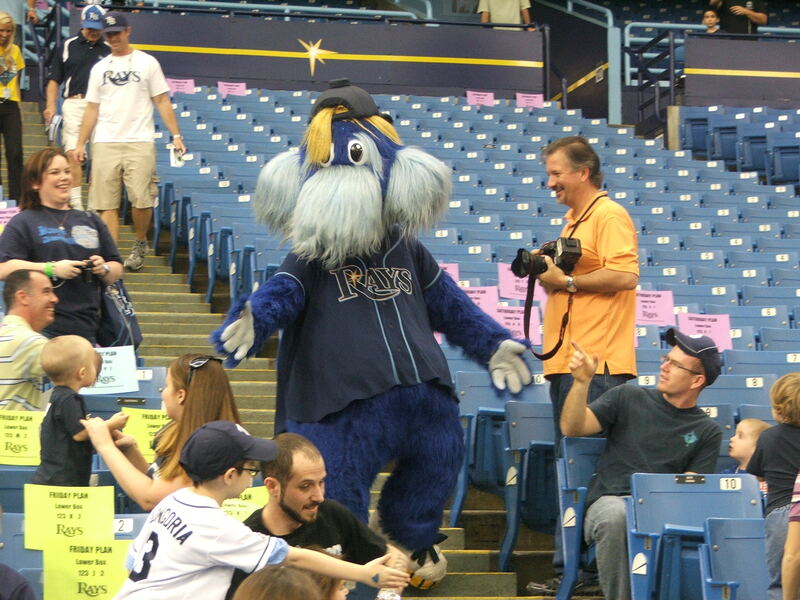 The event even had more than a hint of animal presence as the Rays new mascot DJ Kitty got his first moment on the AstroTurf, and Rays SP David Price brought his canine wing-man Astro to the event, which sparked photos, conversations and general smiles from people of all ages. 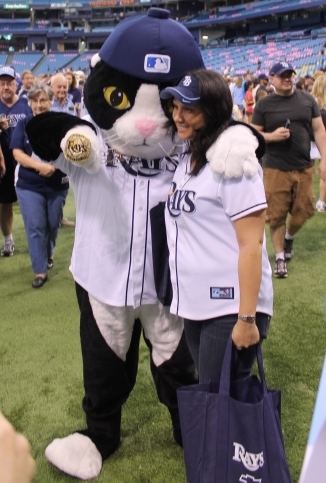 DJ Kitty sporting his trademark huge Rays 2008 AL Championship ring has evolved a lot since his first appearance on the Rays Jumbotron. 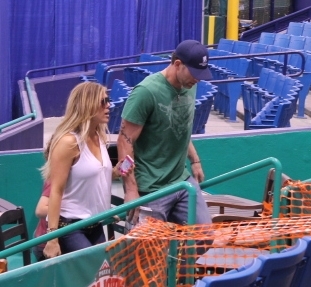 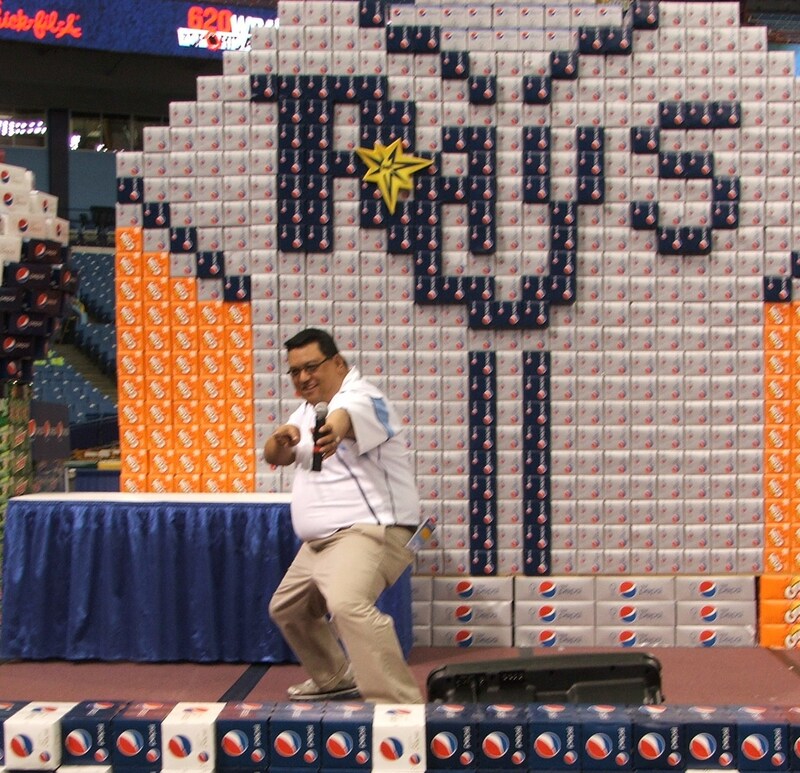 Now he will be another added fan experience at Rays game along with Raymond. 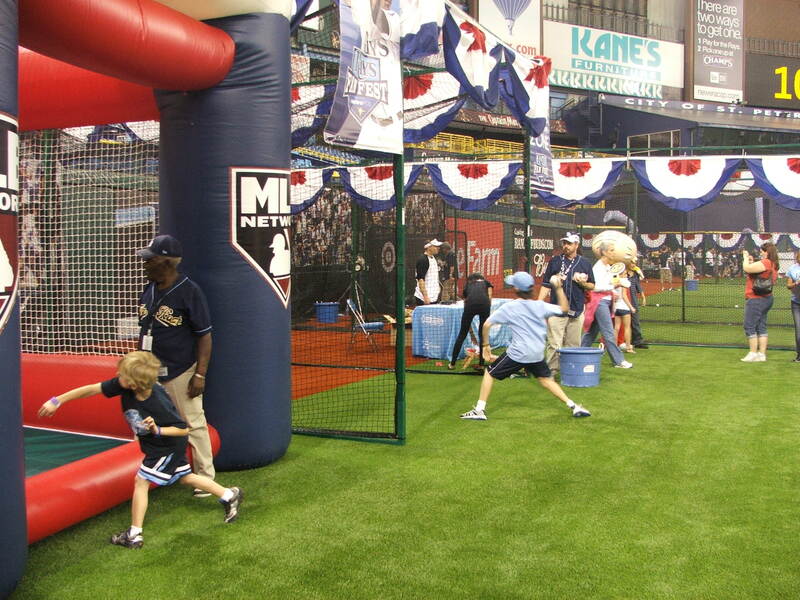 The kid’s Interactive zone was packed with excited kids, parents and Rays staff member as pint-sized future Rays dashed through obstacle courses, threw pitches or try to hit one into the LF seats in the wiffle ball field. 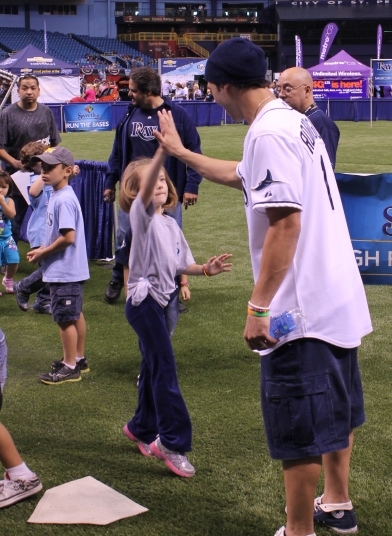 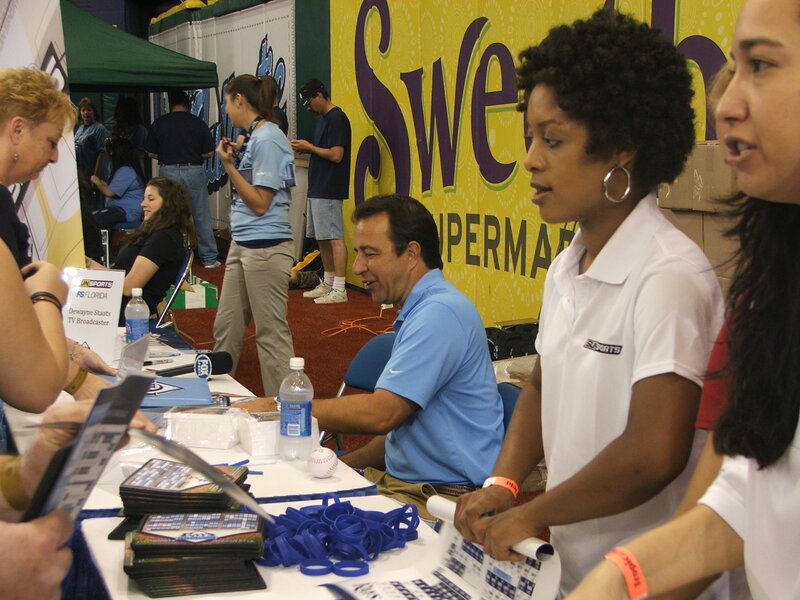 During all of this Rays players made spot appearances at the basketball game, the High-Five Station at the end of the Run the Bases event, plus talked to friends, family or just anyone you chose at the Metro PCS Call-A-Friend table. 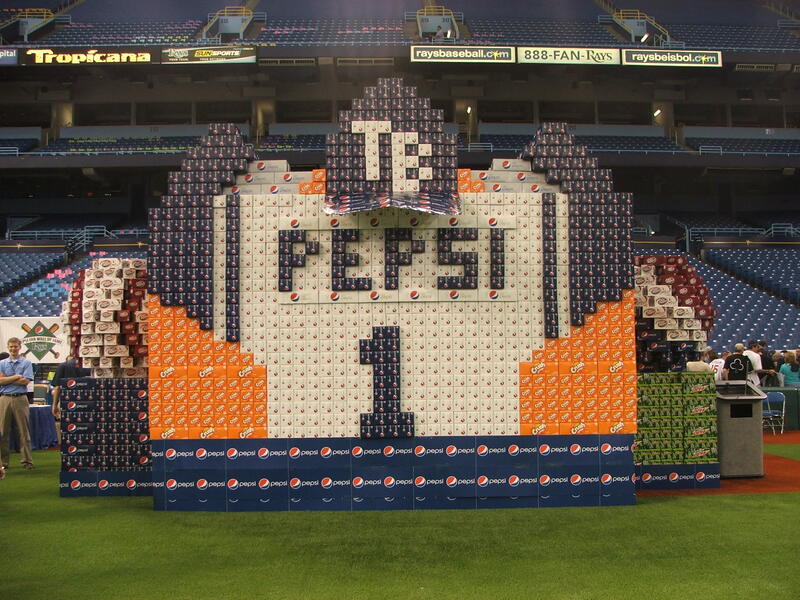 I still marvel at how much the Pepsi displayed have also become a spectacle ever since I erected the first one back in 2004 on the field. 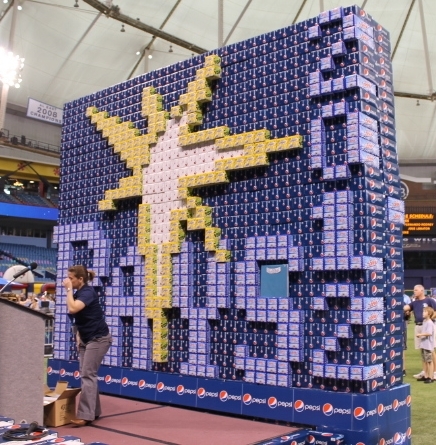 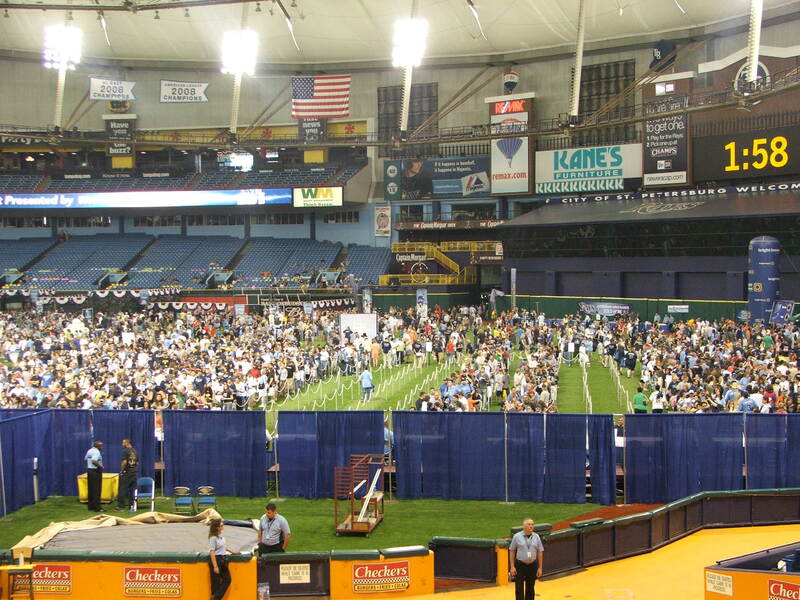 It has become a feature backdrop not only for the Rays/Pepsi Fan Wall of Fame inductions, but for panel discussions and fan interaction with Rays players and personnel. 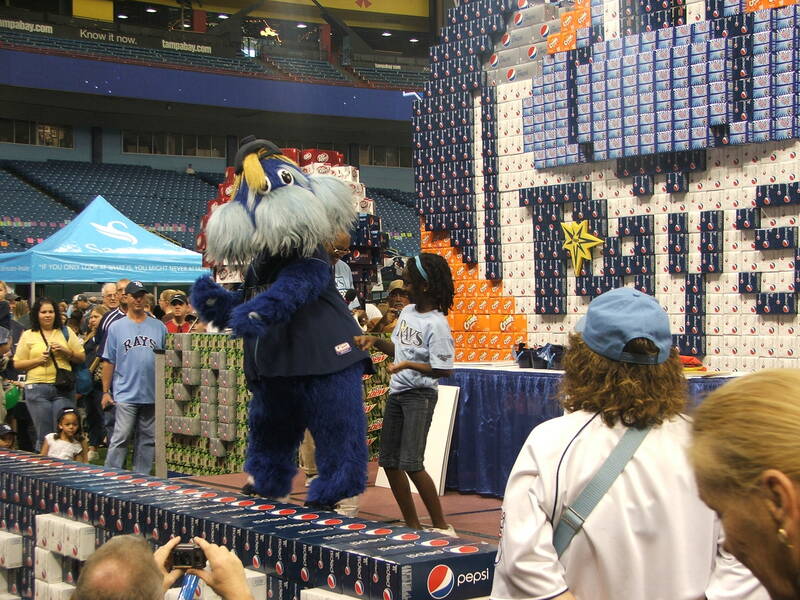 From my first mild-mannered 1,000 case display to the present monstrosity on caffeine, it was again a constant background for photos and memorable pictures with kids and fans. 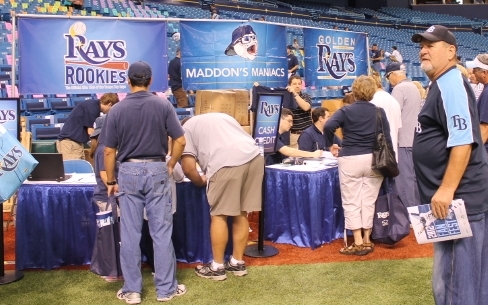 Everywhere you looked on this day you saw smiles, people exchanging greetings and awaiting the new 2012 season with enthusiasm and glee. 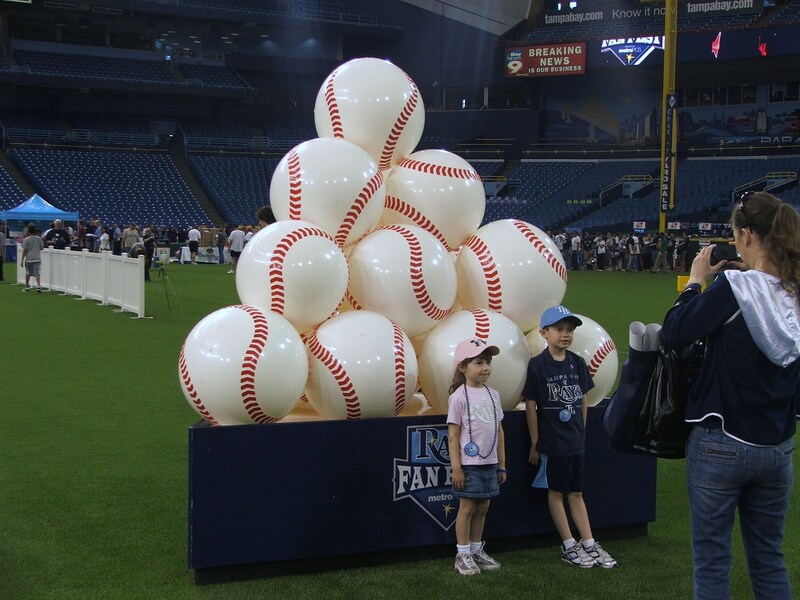 This event for so many signals the end of Winter and the insurgence of not only Spring, but the renewal of our favorite game. 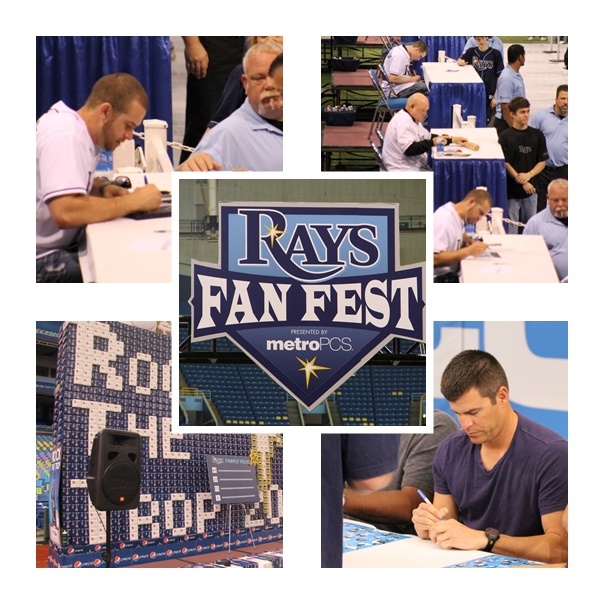 Fan Fest means so many things to so many. 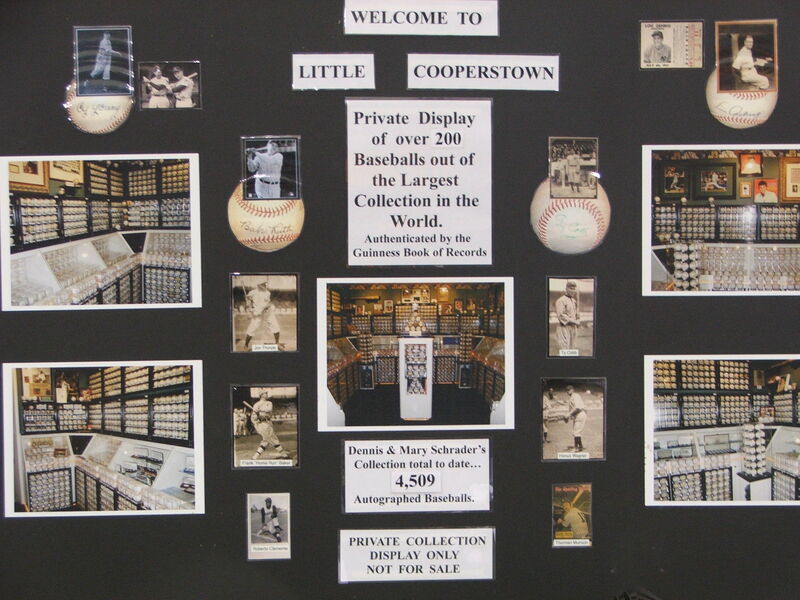 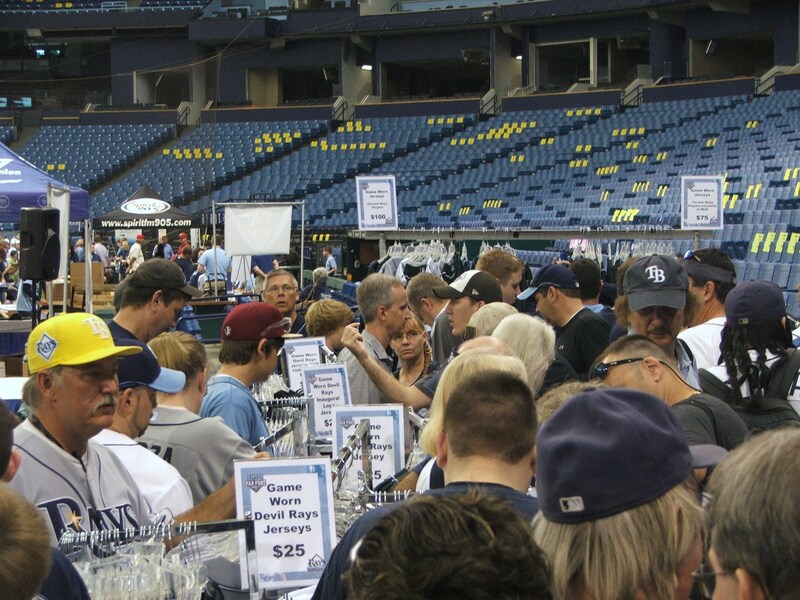 Some came for the great deals on collectibles and autographed items in the two selected areas of sales merchandise. 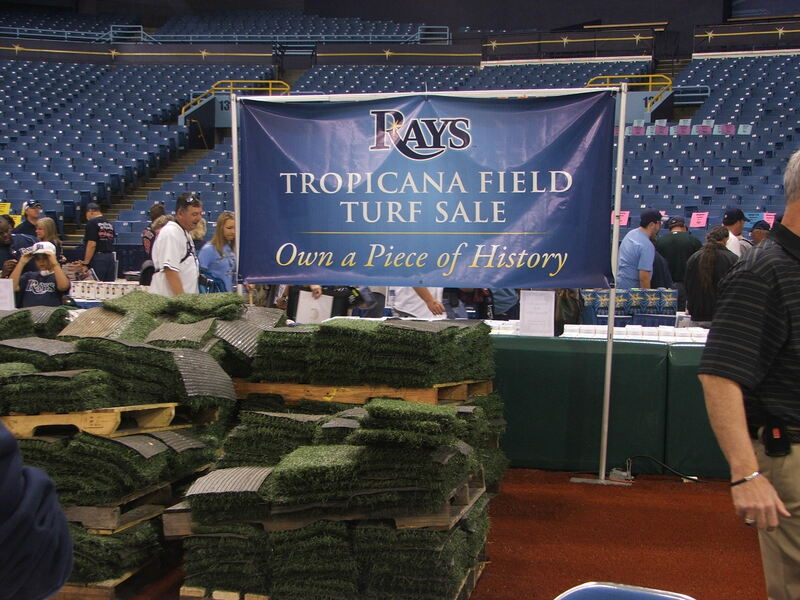 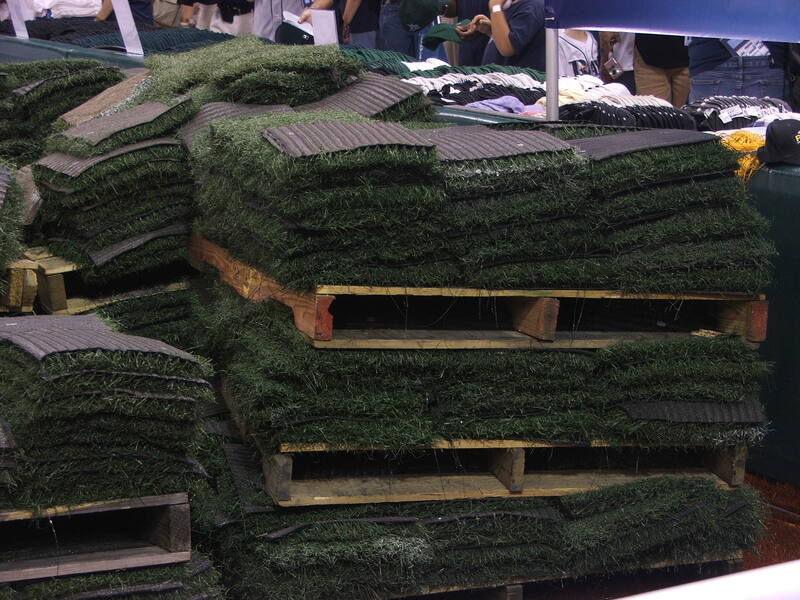 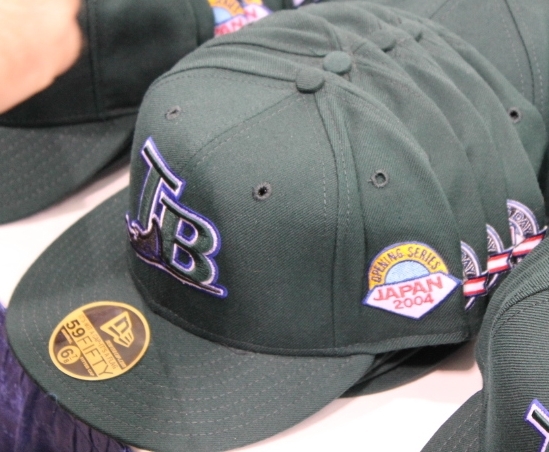 From team authenticated items near the old stick ball court beyond the left field seats to the huge outlying of items in the usual Corona Beach section, there was something for every Rays fan, even an old cap commemorating the Rays 2004 trip to the Far East (I bought one). 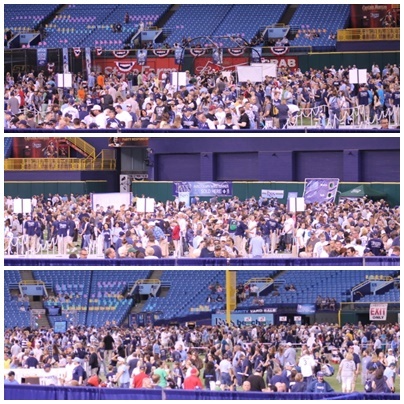 I secluded myself in my usual post 1 pm section near the entrance point for the Rays players in Section 134 not only to say hello and greet some of the Rays long and new faithful back to the Trop, but to also see their faces as they came up the tunnel and saw that huge amassed crowd. 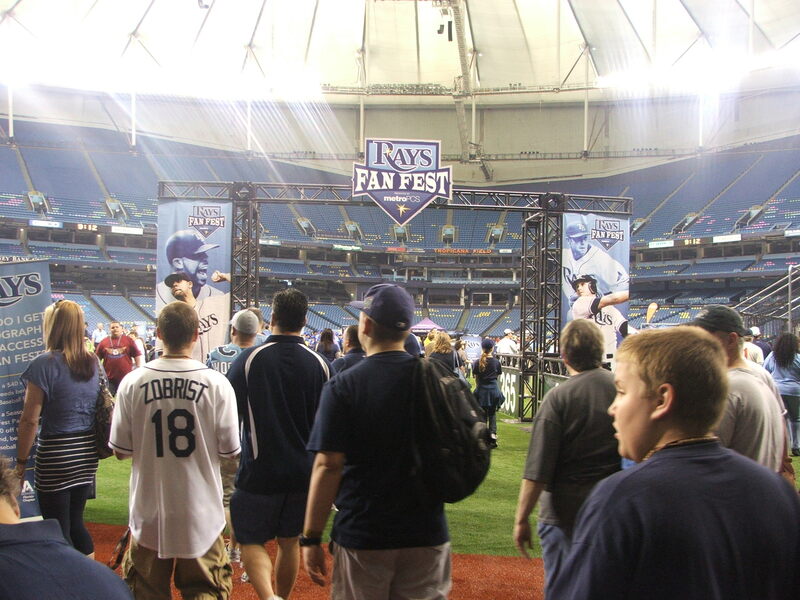 To a t, the players all seemed to take an extra second at the top of the stairs to take in the whole spectacle and immerse themselves in this great Rays Fan Fest vibe. 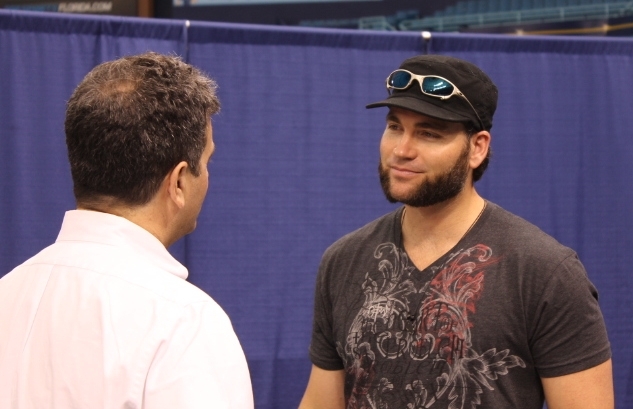 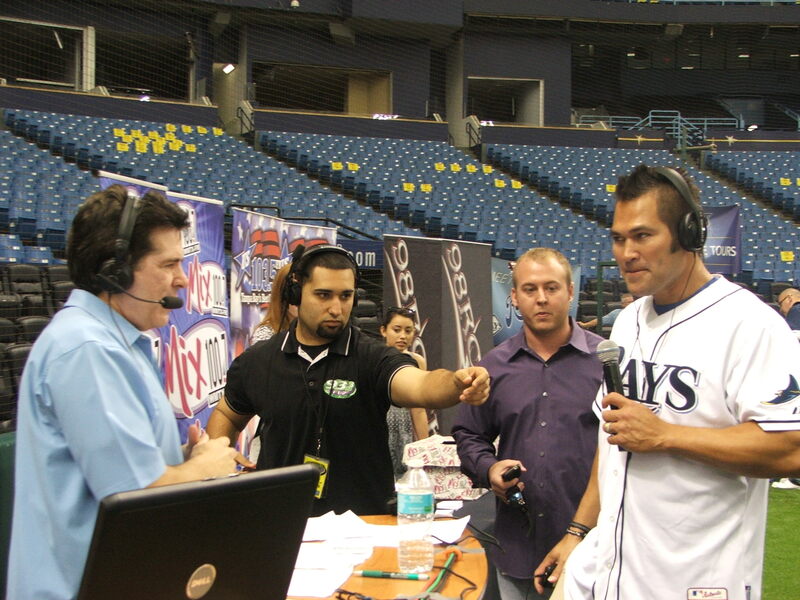 I even got a chance to see the first meeting of Rays new DH Luke Scott and owner Stuart Sternberg just beyond the Rays autograph area. 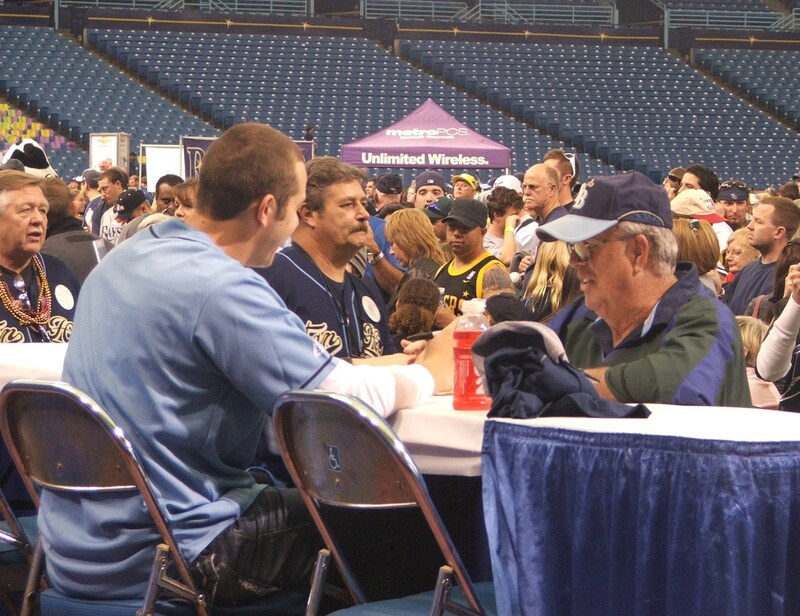 Sternberg who few down from New York especially for the event must have a sore face today from all of the smiling and love shown by the fans at this year’s event. 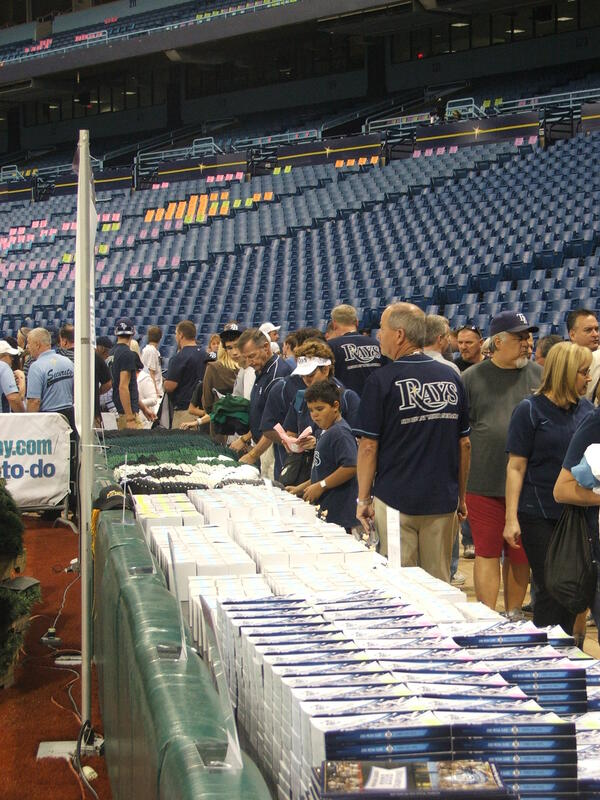 Some say this season is critical to the Rays future success in the region, and if the crowd is any indication, baseball is alive and well in Tampa Bay. 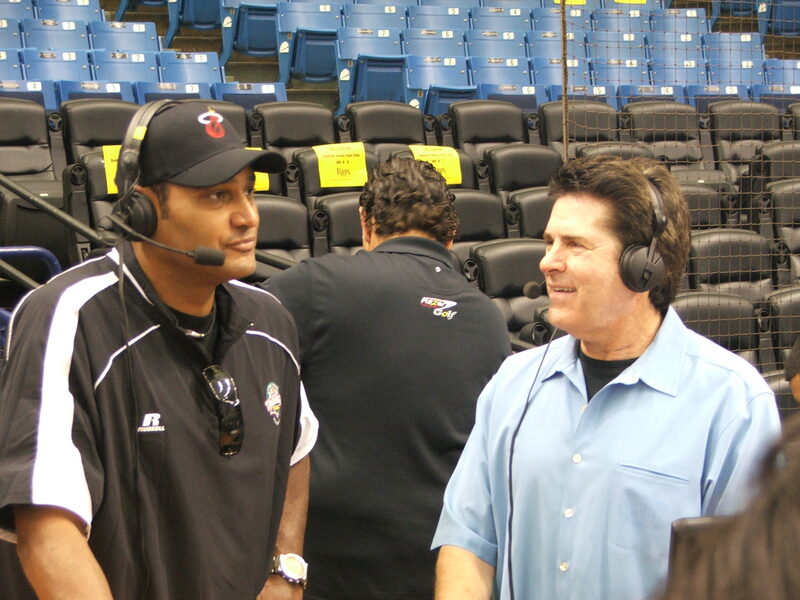 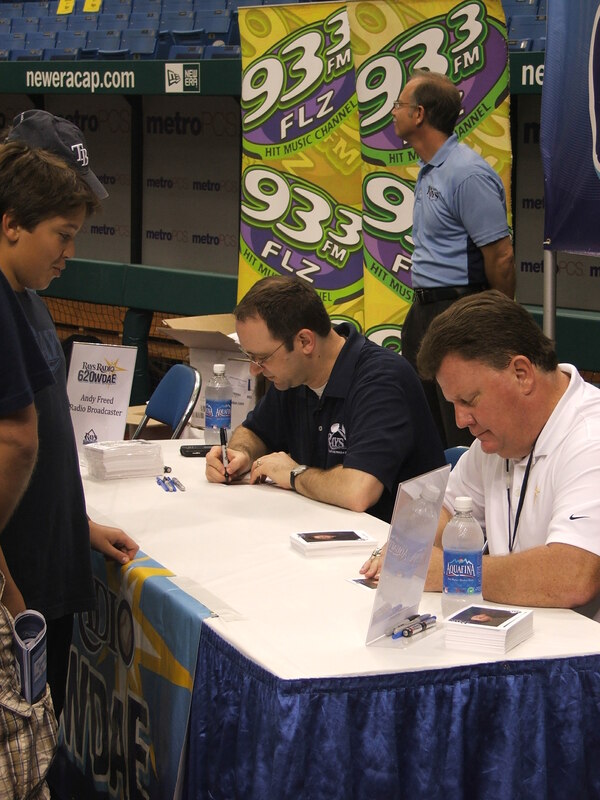 I could also see from my vantage point the smiles on Rays staffers from Fan Hosts to the Rays Promotions Department as the hum of voices and energy in the Trop inhaled and exhaled throughout the day. 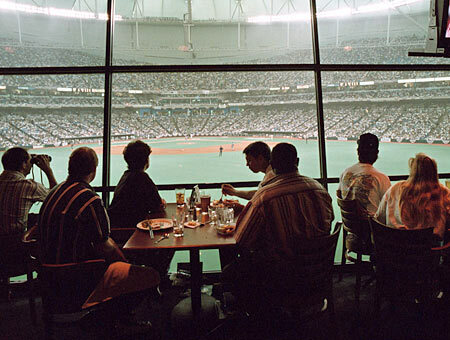 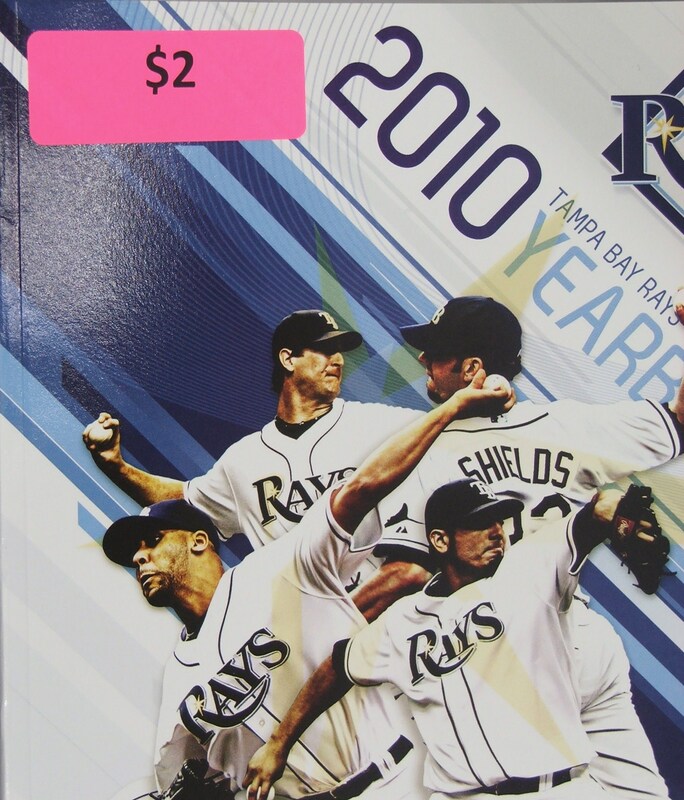 I gazed down the Rays promotional schedule and saw more than a few “must-have” items that not only peaked my interest, but had some sentimental appeal. 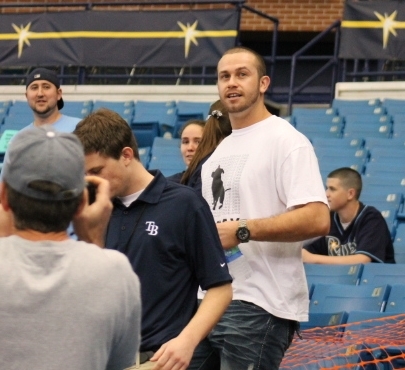 Who would not want a Evan Longoria mini drum set, or hold onto a Jeremy Hellickson, Matt Moore or DJ Kitty figurine. 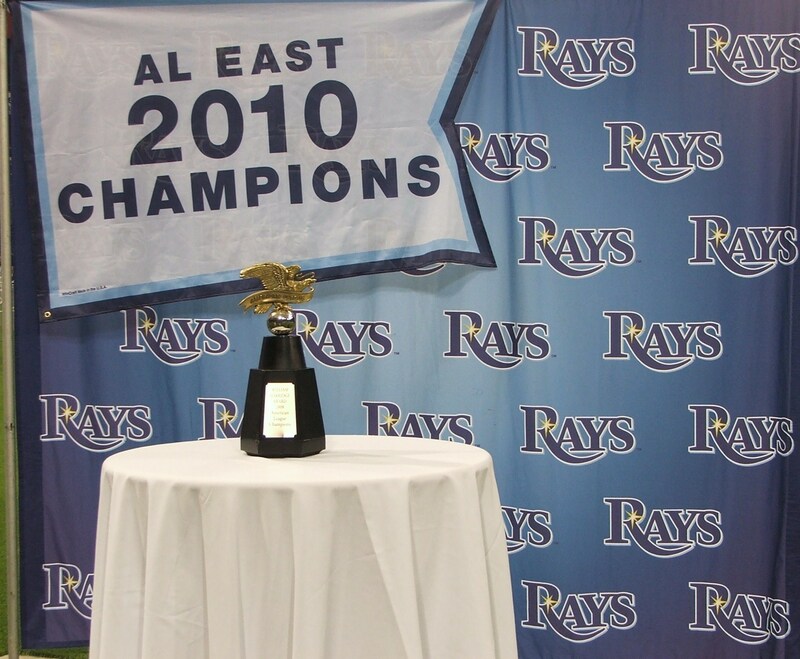 From the Rays Opening Day schedule magnet to their last promotion of the season, the Rays fan favorite bobblehead, this is definite another Walk-off win ( do not forget the Longo Walk-off figurine on 4/21) for this Rays Department. 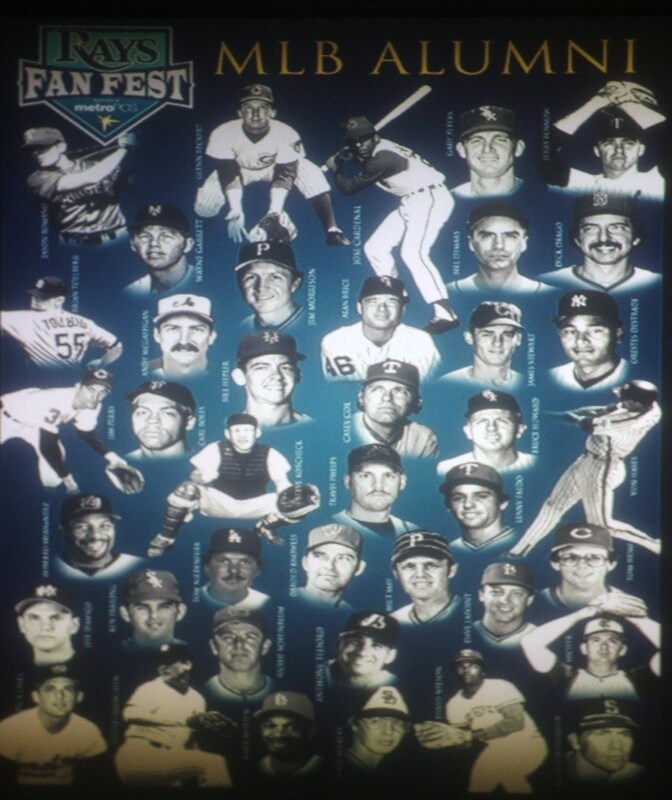 This season’s Fan Fest was a monster. 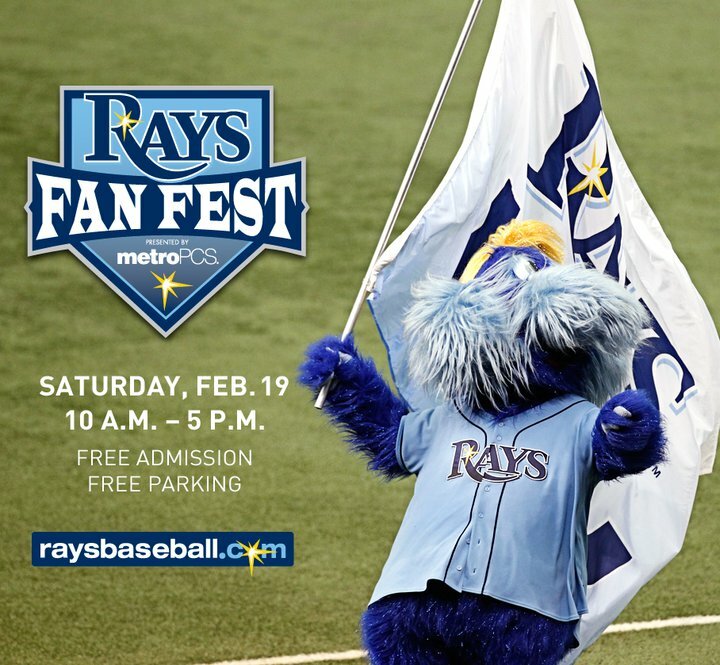 Both in attendance, the level of excitement and even the plucking of Rays host Rusty Kath with a wiffle ball that is sure to be a Youtube sensation (currently only 74 views, but climbing). 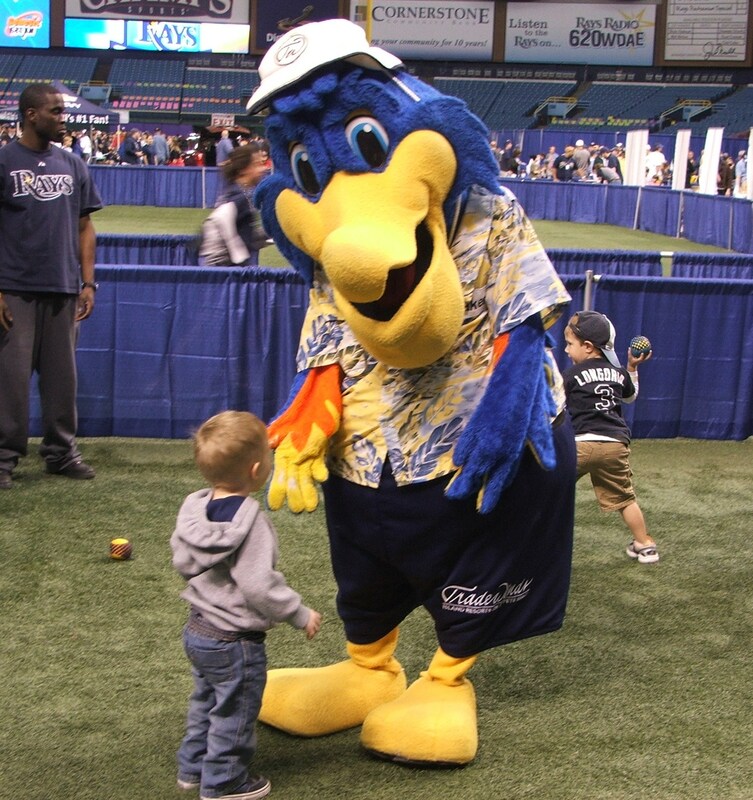 From Sternberg down to the Rays interns, there has to be an added level of excitement and confidence heading into Tuesday’s report date for Pitchers and Catchers in Port Charlotte, Florida. 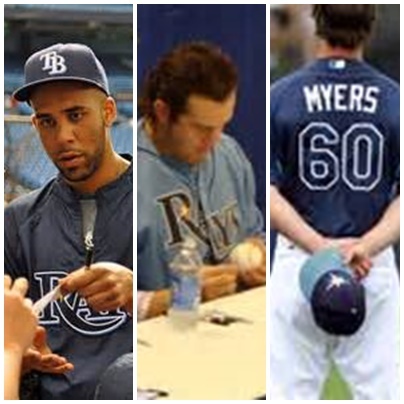 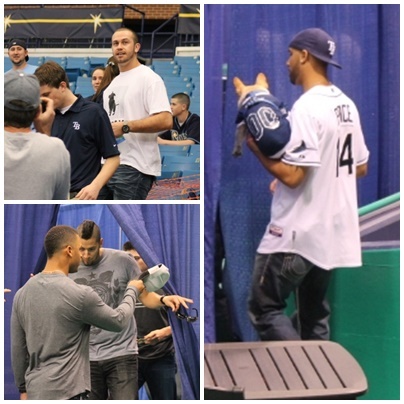 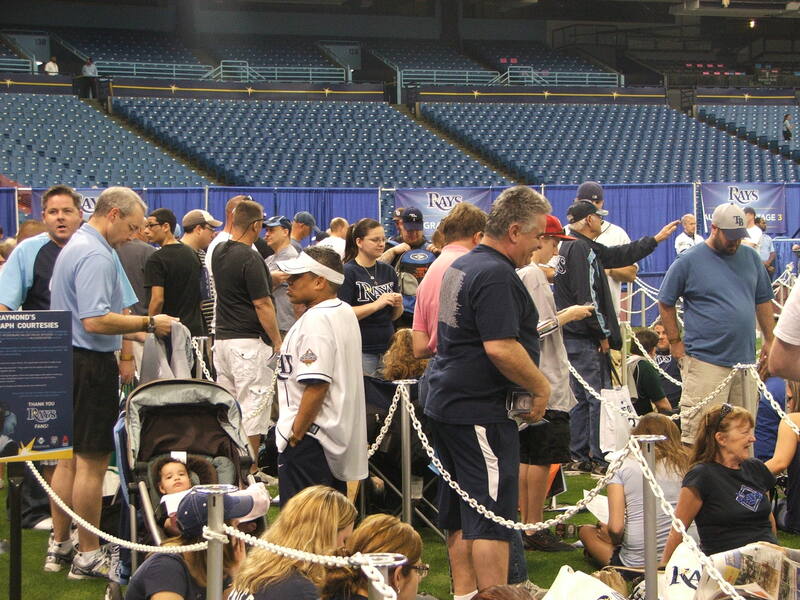 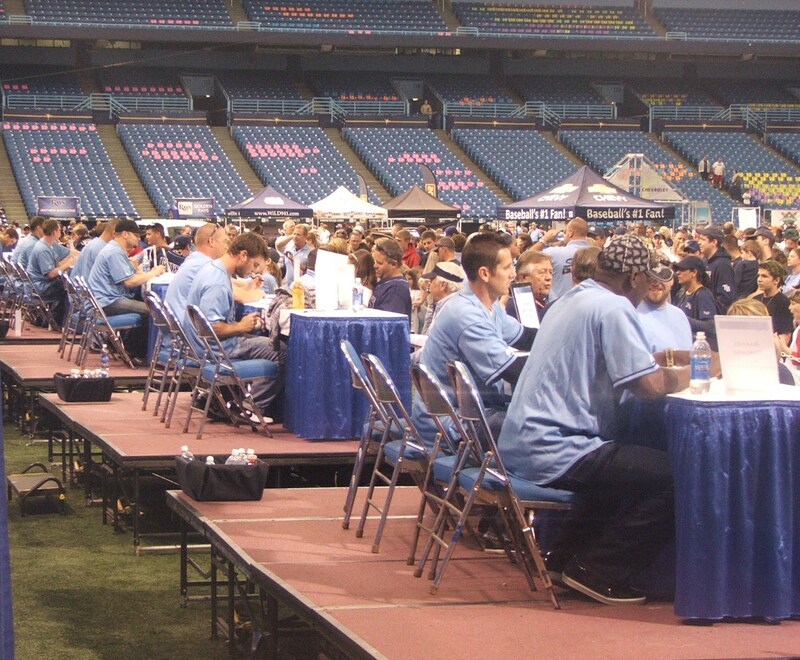 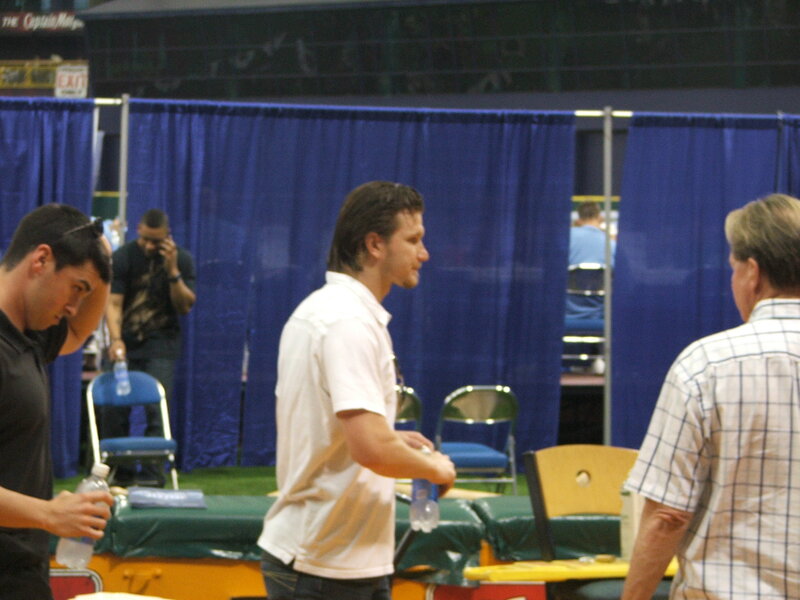 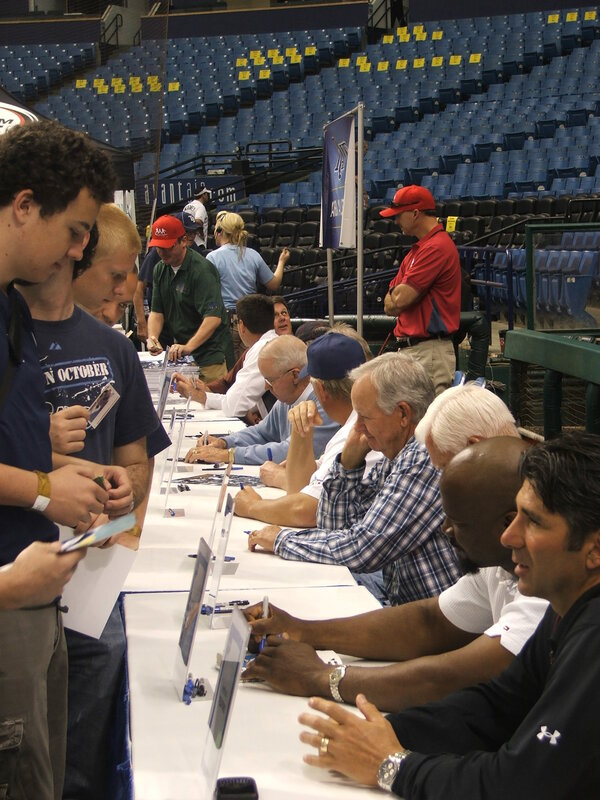 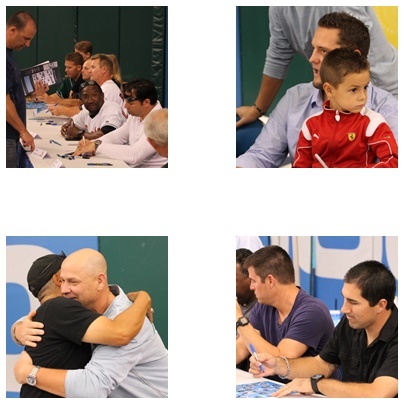 If this Fan Fest is any indication, it could be a great season both on and off the field for the Rays organization. 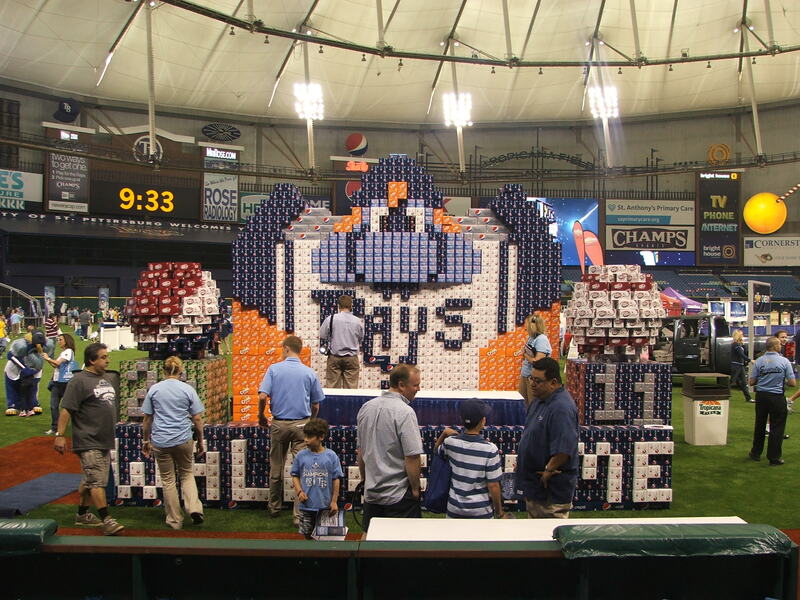 And it all started with this annual rite of Spring by the Rays. 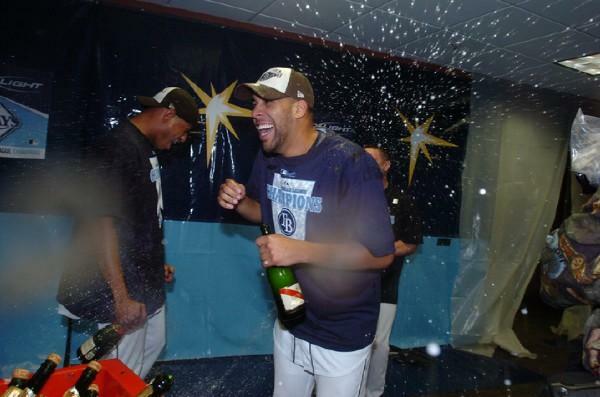 I am giddy to see what unfolds next.